When you need to escape from the hot Texas sun, you want to trust that your AC unit is able to keep up with the demand. If you think that your central air conditioner might be functioning at a less than optimal rate, then contact Frontier A/C today to learn how we can help. Call today and relax in your cool home tonight! 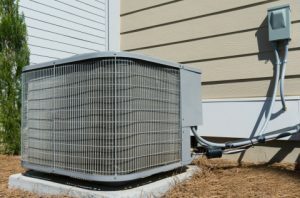 Residential HVAC Repairs Make Your AC unit perform better. Contact Frontier A/C Heating & Refrigeration in Mission to schedule your appointment today. At Frontier A/C Heating & Refrigeration, we are a family-business, and we understand that your home is important to you. When you call to schedule a repair, we treat your time and your property with the utmost respect and care. You can rest assured that our technicians will take the time to assess the issue and repair it so that your system is back up and running in no time. It would be nice if your HVAC system could run forever without regular maintenance, but since this isn’t true, be sure to schedule your HVAC tune-ups with Frontier A/C Heating & Refrigeration in Mission. Once we get to know the system you have, we’ll be able to provide the correct analysis in a more timely manner, which allows you to get on with your regular schedule. When the weather heats up in South Texas, you want to make sure that your HVAC system is ready to perform as often as you need it, which is probably all the time! Don’t run the risk of having your air conditioning system break down in the middle of a heat wave. With regular maintenance and tune-ups, you can rely on your system to keep you cool. If your system needs repairs, then call Frontier A/C Heating & Refrigeration in Mission to schedule your appointment today.